Morata will certainly been the center of media attraction, when Chelsea play Newcastle at Saint James Park this weekend. The Spaniard recently released an ambitious 30 goals target for the season, and expected to at least be on the score sheet this weekend. Alvaro Morata opened his goal account of new league season last weekend against local rivals Arsenal, though was replaced in the 74th minute by Frenchman Olivier Giroud. 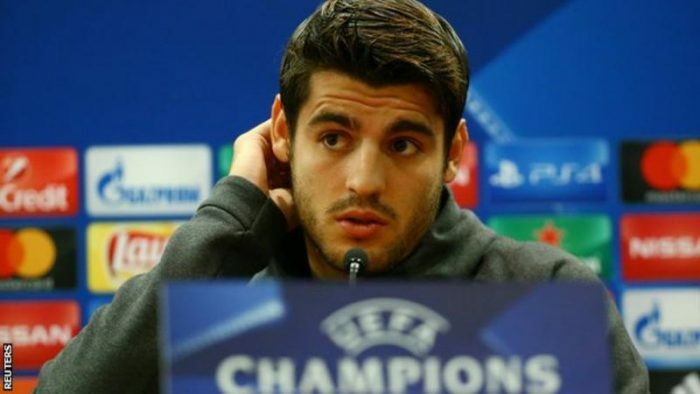 Morata who is confirmed as Maurizio Sarri’s first choice, is expected to lead the attacking lines when the Blues plays the Magpies in the weekend. Morata seems to be back to form after a master-class goal assisted by fellow country Azpilicueta last weekend. The Spaniard turned central defender Mustafi, by cutting the ball to his left before hit the ball to the right hand side of the post against the incoming Petr Cech. Apart from the single moment of magic, the Spaniard was largely a spectator in the encounter. Giroud despite not being a goal machine, have proven to be excellent in linkup players. Alvaro Morata is certainly feeling the heat and will need to be scoring to not only justify his place in the Chelsea starting lineup but his overall season goal target.